From the company that brought you Food, Inc. and Waiting for “Superman”, this companion book to the documentary film explores the looming crises surrounding the world’s most essential, most threatened, resource. Water scarcity is poised to become the most explosive issue of our time. Global population is soaring toward the 10 billion mark. Climate change is producing unprecedented droughts as well as devastating flooding. Less than 1 percent of the world’s water is fresh and potable—and no more will ever be available. We can’t afford to continue our profligate ways with water. Yet forging reasonable compromises over water regulation is incredibly difficult, as raging controversies and conflicts over water supplies in the American Southwest and “fracking” in the Northeast suggest. “Water wars” may soon threaten the peace in regions from the India/Pakistan border to sub-Saharan Africa to the Middle East. Based on the forthcoming film by Academy Award®–winning director Jessica Yu, Last Call at the Oasis explains the facts behind these interlinked crises and describes the work that far-seeing reformers, policy-makers, scientists, engineers, and business leaders are doing to craft solutions. No resource on earth is more precious—or more endangered—than water. 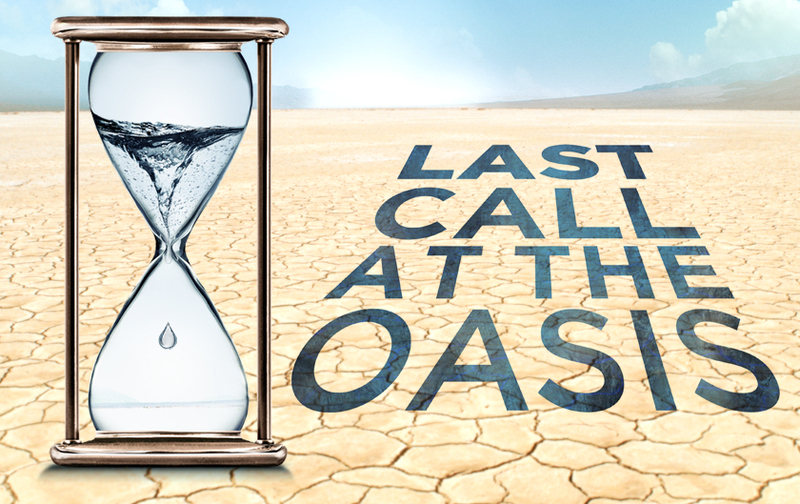 Last Call at the Oasis is a powerful tool for learning about the water challenges we face as well as the remarkable solutions available to us—if we have the will to use them.